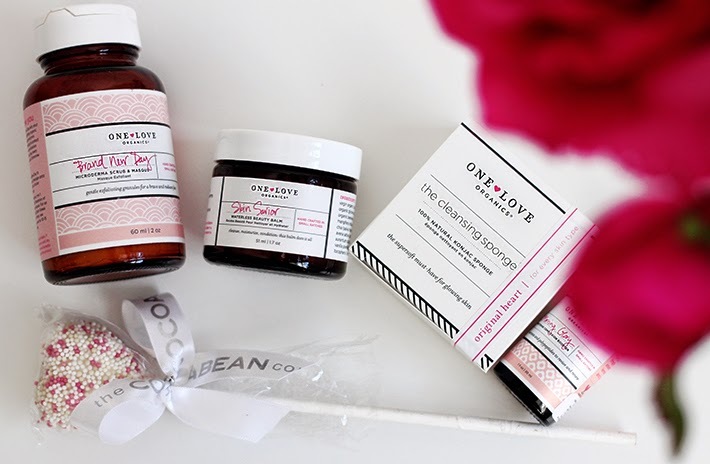 At the end of July I was invited to attend a gorgeous Mad Hatter themed Afternoon Tea Party at the Sanderson Hotel by this brand: One Love Organics. So how have I been getting on with the products? As expected, I have fallen head over heels in love. Everything from the packaging, to the ingredient lists, to the names of the products… yeah you can tell I am a happy bunny. Before I get onto the products, a little introduction to the brand. 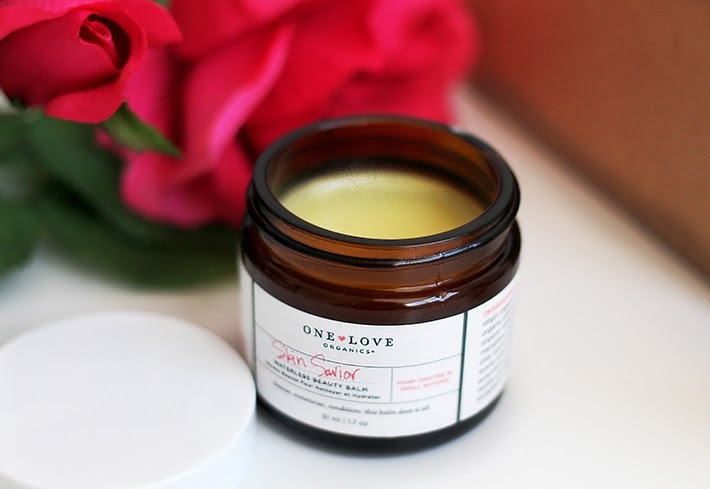 One Love Organics are an American skincare company, and have recently launched over in the UK. A totally natural & organic brand, using high quality ingredients that directly benefit your skin, it really is quite unique. As I discuss the products with you I am certain you will get to love them just as much as me. 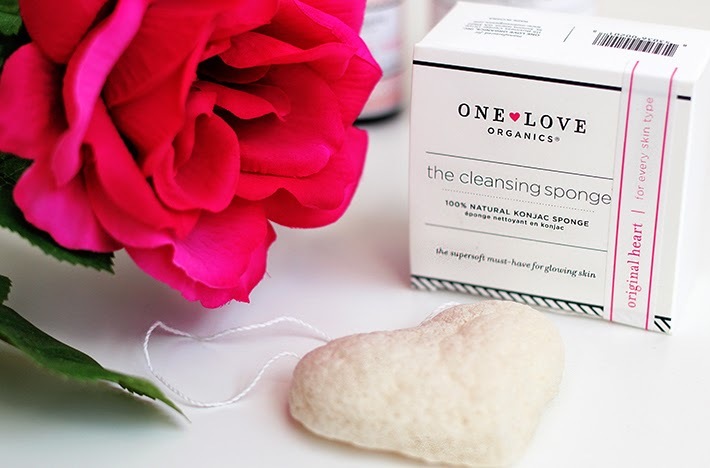 The Cleansing Sponge, I spotted this bad boy on the table during the afternoon tea and having seen konjac sponges floating around the blogging world I instantly knew what it was and was very keen to test one out for myself. Konjac sponges, are awesome, and they are slowly replacing the classic flannel in my bathroom cabinet. Sorry flannel. If you haven’t yet used one of these cute little inventions, I urge you to get your hands on one sooner rather than later. Made from 100% plant fibre, ran underneath a warm tap, they expand and change from their stiff exterior to something soft and squidgy. There are different types of konjac sponges available depending on your skin type, infused with types of clay depending on whether you are oily or have tired skin. The one photographed above is the original konjac sponge, suitable for all skin types. You can use this alone, as in without any cleanser, and it will still be efficient in removing dirt and grime blocking your pores, however I do love using a cleanser and have been using the sponge in place of a flannel. I can honestly say my skin has never felt softer or smoother since using this sponge. I had been contemplating repurchasing the Dermalogica Daily Microfoliant, and then this Brand New Day Microderma Scrub & Masque came along. I LOVE THIS. SO FREAKING MUCH. Containing unusual ingredients such as Sweet Pea Flour and Fresh Pineapple enzymes, providing a gentle, daily exfoliation suitable for every skin type and can be used all over your bod-ay too. All you need to do is add warm water to a small teaspoon amount to form a paste and then massage all over your skin. It feels so gentle you would barely know it is indeed a scrub. I love the fact you can also make your own face mask with this, you can add more powder to create a thicker, tightening mask, but you can also add ingredients such as organic greek yoghurt to clarify or manuka honey for a more hydrating mask. I tried this with honey and left it on my skin for 10-15 minutes, it felt a little bit messy but the result was great. My skin looked very happy.I have here the larger size, which is £34 but if you just fancy trying it out then the smaller travel size is £9.00. A great starter price for a 2-in-1 product! Next up, Skin Saviour Waterless Beauty Balm. Now you all should know I do love a good cleansing oil or balm so I was looking forward to trying this out. However, this is no ordinary balm. The cold pressed plant oils and extracts break down the make-up without stripping the protective layer of your skin. Not only does it melt away your make-up, making removing make-up effortless, it can also be used all over the body. A moisturiser, a hair tamer, skin soother and even a primer for mineral powder, this really should be awarded cult status – everyone needs to get on this. I originally saw the price tag of £52 and immediately placed it next to Eve Lom, and though pah, would not buy you in the future, then I gave my head a wobble and reminded myself that this is not just a cleanser. This is an extremely ethical, versatile product that has every right to carry such an expensive label. My skin has felt so soft since using this and have been reaching for this over my trusty coconut oil more often than not. A little goes along way, so this will be on my bathroom shelf for a wee while. 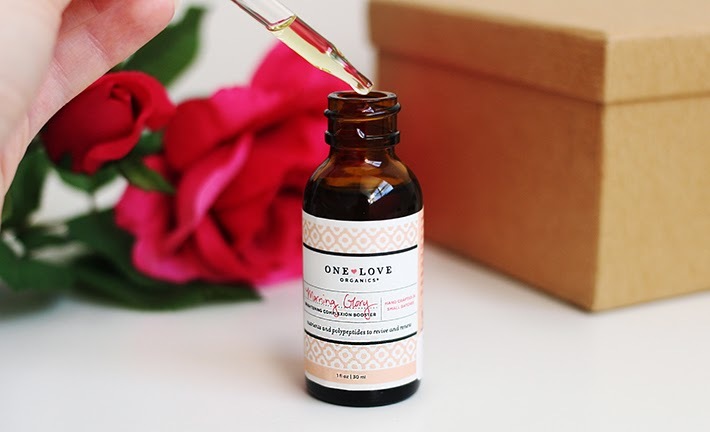 Morning Glory, probably the best name ever for a beautiful little serum. After cleansers, I would say serums are next in line as my favourite part of my skincare routine. Key ingredient Raspberry Leaf stimulates and wakes up your skin by tightening and toning. Peppermint and Lemon deliver refreshing anti-inflammatory antioxidants to brighten and depuff. Vegan sourced Omega 3 fatty acids smooth out any fine lines. 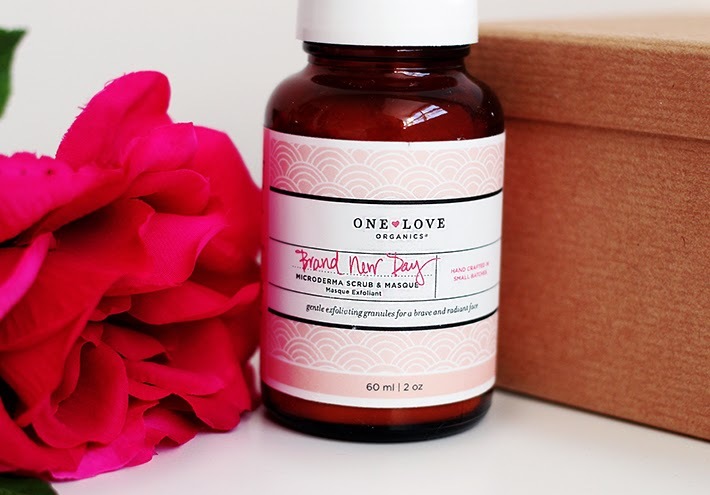 Overall, your complexion is given an instant boost and prepares your skin for the day ahead. You may also use this during the day or at night, don’t be confused to just use it of a morning, the idea is it gives you that rosy “movie-star” radiance we all dream of waking up with. I love this, everything from the smell, to the texture right through to the makings of this formula. 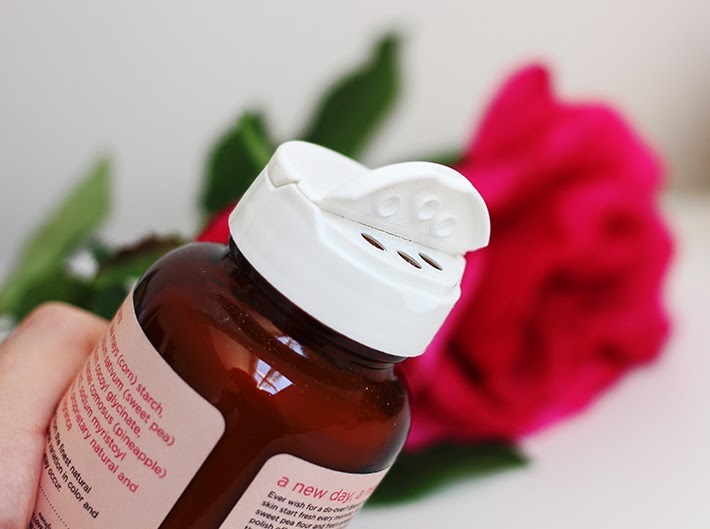 I would say it is up there in my top 5 favourite serums – ever. 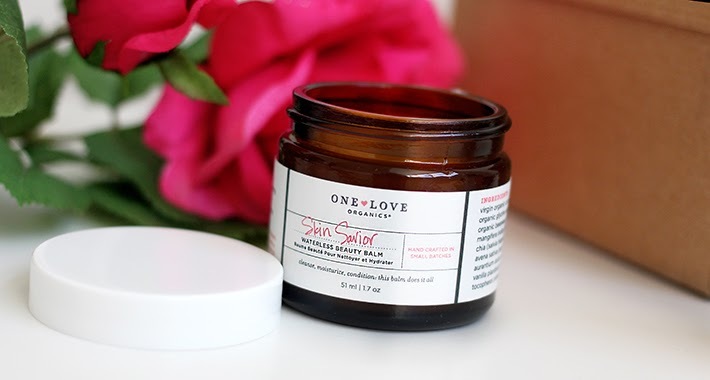 Having a personal preference of reaching for more organic, vegan friendly skincare – the good stuff – this brand has definitely struck a chord. 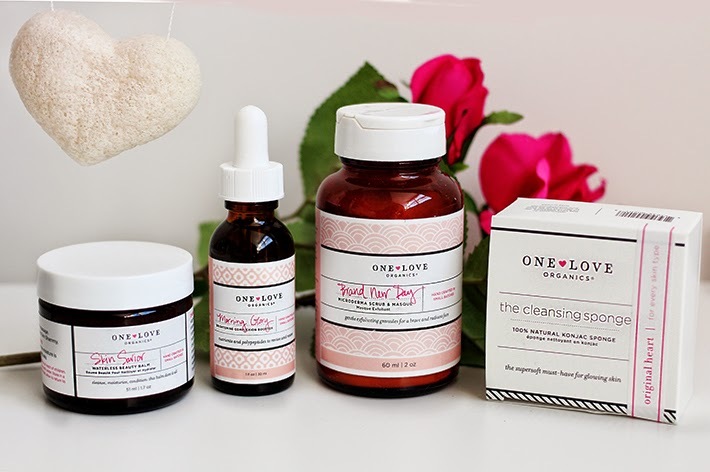 One Love Organics has worked it’s way into my daily skincare routine and it is definitely here to stay.